from the BBC programme Front Row, 20 November 2011. 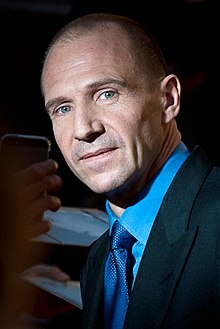 Ralph Nathaniel Twisleton-Wykeham-Fiennes (/ˈreɪf ˈfaɪnz/; RAYF FYNZ; born 22 December 1962), is an Inglis actor. ↑ "Ralph Fiennes". Front Row. 20 November 2011. BBC Radio 4. Retrieved 18 January 2014. ↑ "Person Page 18418". thePeerage.com. 6 April 2008. Retrieved 10 April 2008. This page wis last eeditit on 28 Mairch 2017, at 05:03.